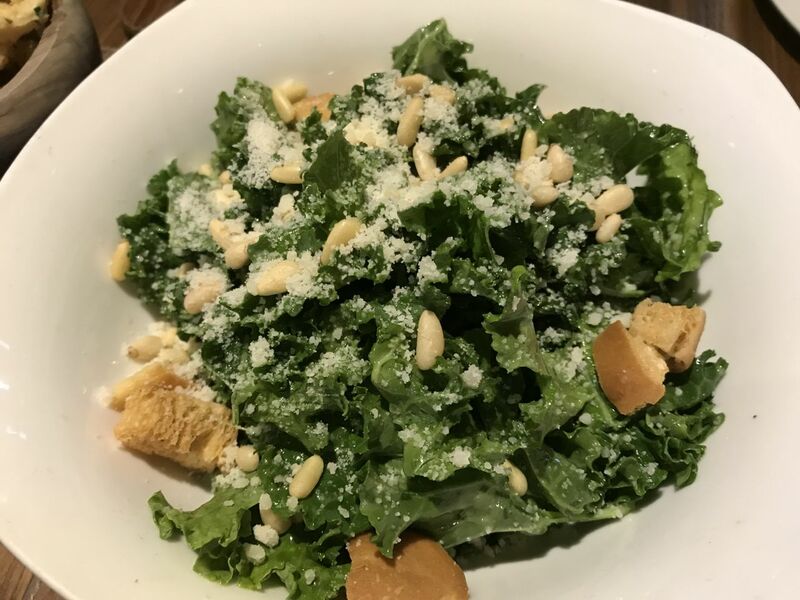 Last night we went to Ciao Chow for dinner, a place I visited almost two years ago when it opened. 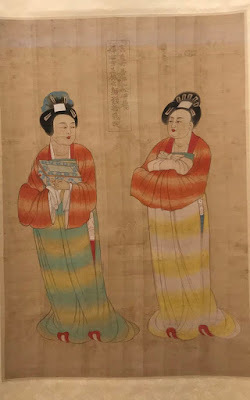 This time I went back with the restaurant owners so we were treated there, and there were some interesting items on the menu worth sharing. For antipasti, there's thinly-sliced ox tongue with a garlic-parsley sauce (HK$49), but the sauce could be on the side. 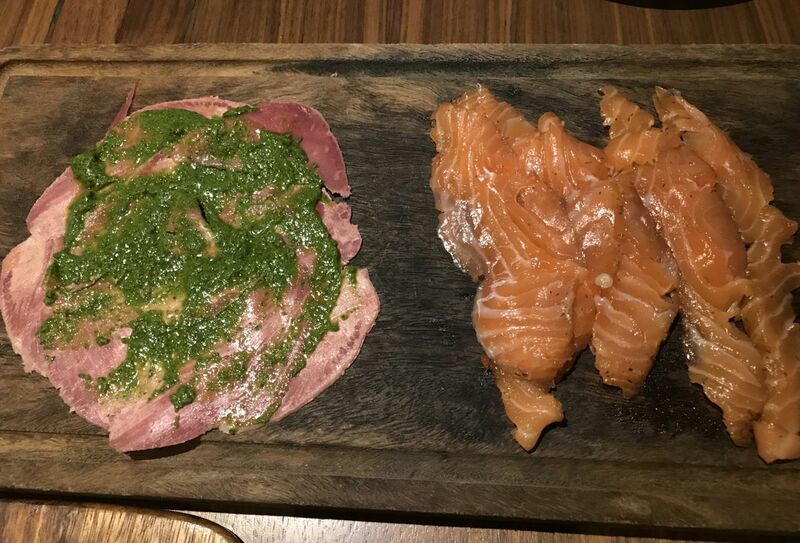 The house-smoked salmon (HK$49) is also very good, but give the calamari (HK$66) a miss. The batter doesn't work and the tomato sauce needs seasoning. We really enjoyed the kale salad (HK$99) that came with pine nuts -- though there would have been bonus points if they were toasted -- along with croutons and honey garlic dressing. The manager told us the octopus salad (HK$119) was new on the menu and it needs some work. Some octopus pieces ranged from chewy to almost jaw-breaking, though we liked the other ingredients, such as baby potatoes, green beans, arugula and lemon dressing. Ciao Chow is known for its pizzas and they are still good. 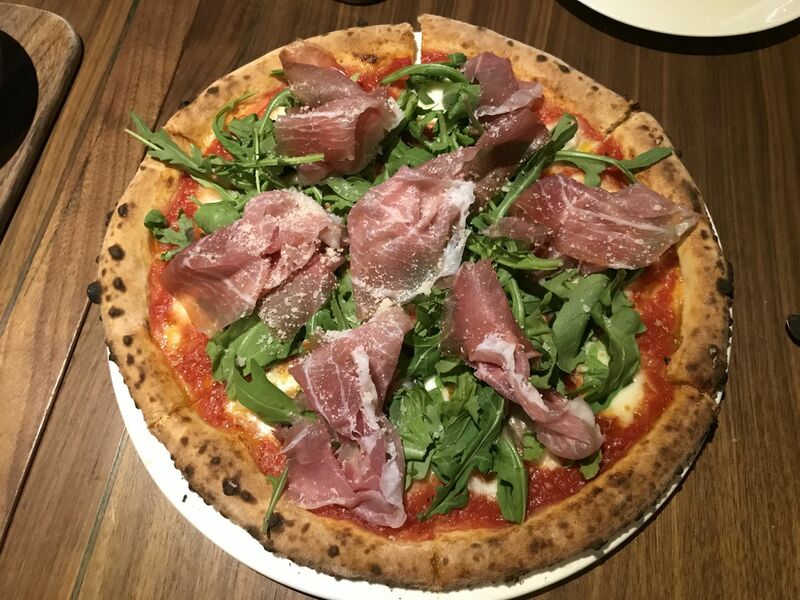 We had the one that is basically a Margherita pizza topped with proscuitto and arugula (HK$209) and the dough was delicious, holding up the tomato sauce without being soggy. 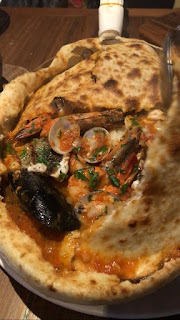 I almost ordered a pasta, but then looking down at the main courses I spied an intriguing dish -- assorted seafood soup that is baked with a pizza dough top (HK$448). We had to try it. It arrived in a large oval pan covered with pizza dough baked on top. The server then used a large spoon to cut the dough into four pieces before revealing what was underneath -- a gorgeous combination of fish, mussels, clams and prawns in a cherry tomato broth seasoned with white wine and garlic. Basically a bouillabaisse baked with a pizza dough on top to make it Italian. Magic! The seafood was perfectly cooked, particularly the mussels and fish; the clams had a bit of sand in them, but plump, the prawns a tad overcooked though still good. Our only complaint would be to have more of the tomato broth to eat. We were pretty full at this point and passed on dessert -- luckily our generous hosts did not insist. For mocktails I tried the strange-sounding aged balsamic punch (HK$58) that was a concoction of fig, vanilla aged balsamic, and lemon juice. It was slightly tart, but the edge was taken off by the aged balsamic that gave it a rounded flavour. It's definitely an acquired taste. By the time we left the restaurant just after 8pm and bar area were practically full for a Wednesday night. DreamHost is the best website hosting provider with plans for all of your hosting requirements.